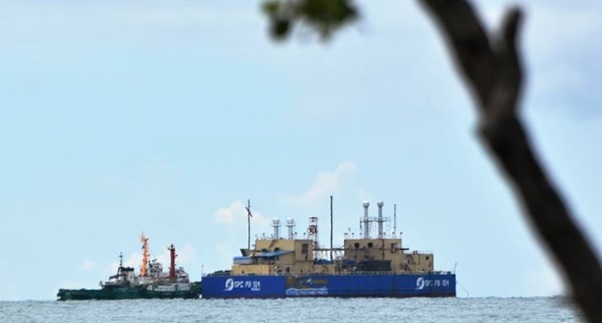 The National Grid Corporation of the Philippines (NGCP) on Friday bared its target to complete the connection between the power barge stationed in waters off Ubay and a power substation at a nearby village of the said town by October. According to NGCP Visayas spokesperson Betty Martinez, the firm has completed construction of a 69-kilovolt transmission line between the water-based facility and the substation. However, the NGCP will still have to build the foundation of a substation which will house high-voltage equipment. The construction is expected to commence on September 26, Martinez said. Both facilities are the main components needed to transmit power from the barge to distribution utilities, she added. The Power Barge 104 which is owned by the Salcon Power Corporation arrived at the Tapal Wharf in Ubay from General Santos City on August 16. 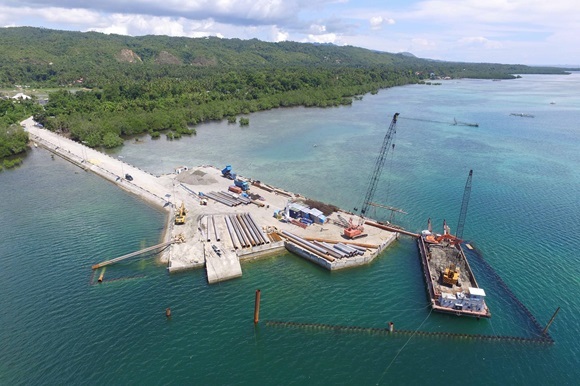 It is set to remain at the said pier until December when the permanent mooring site of the facility at the Catagbacan Port in Loon will be completed. The Catagbacan Port in Loon is being retrofitted with equipment to accommodate the Power Barge 104 of Salcon Power Corporation. Earlier, Governor Edgar Chatto said that the barge will remain in Bohol to prevent complete outages in the province during emergency situations until the government has secured a more reliable power source. The water-based power facility will be stationed in Bohol until the completion of the Cebu-Bohol interconnection project in 2020 or the proposed island-based power plant in 2023. SPC will only be paid for its facility’s usage and not for its stay in waters off Bohol, Chatto said in a previous interview.